This recipe comes from Food and Wine’s March 2012 issue. The kale, carrots, and garlic came from the Carroll Garden’s farmer’s market. 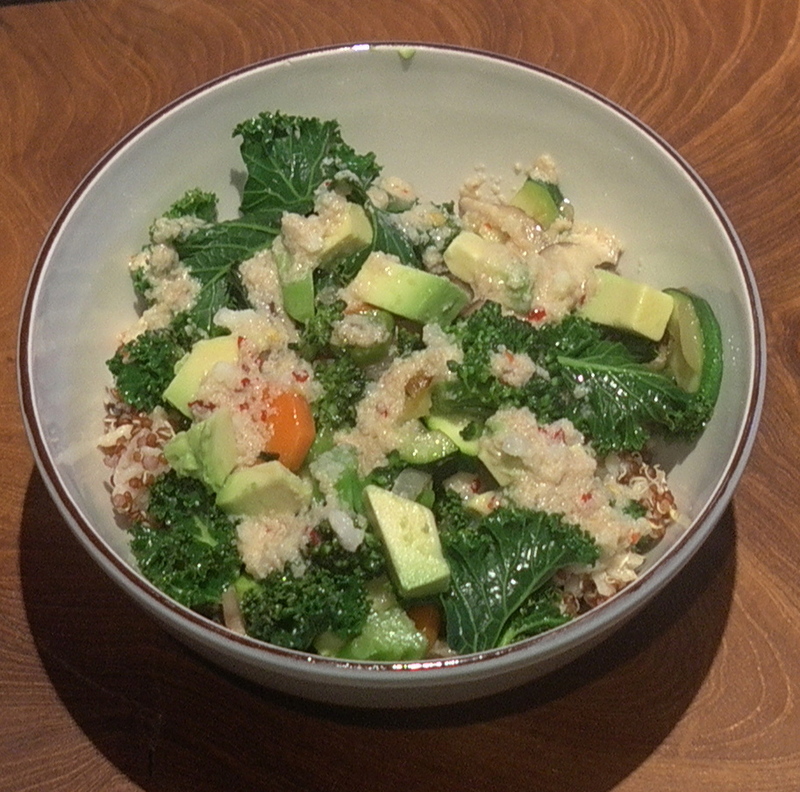 Transfer the brown rice and quinoa to bowls. Top with the cooked vegetables, diced avocado and bean sprouts (if using). Serve, passing the tahini sauce at the table. looks delicious! hope you’re doing well!